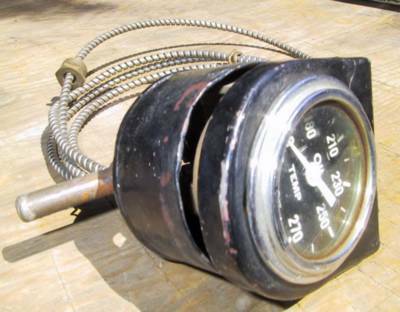 Hoopty Rides: Vintage Stewart Warner Gauge! The find of finds. I knew it was good when I found it, but I didn't want to look too closely as the excitement would have made it impossible to eat breakfast. It was better than I thought. Click the title above for the excellent roadsters.com page of vital Stewart Warner gauge info.